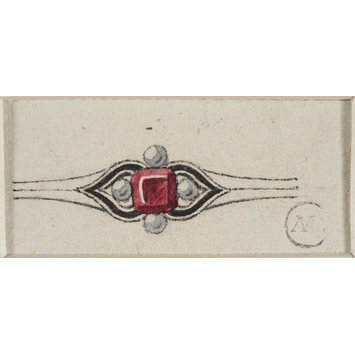 One of 627 designs for jewellery: rings, buttons, pins, etc. Bound in dark green cloth. 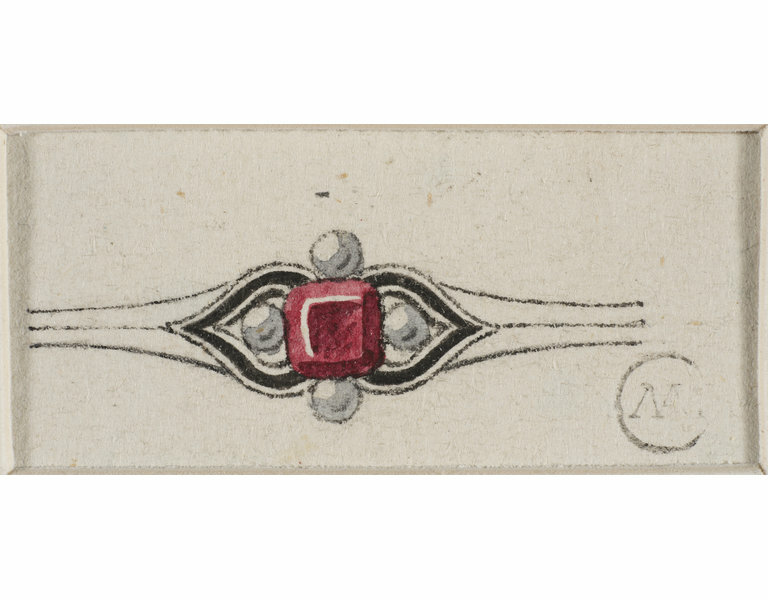 'Bagues et Boutons' One of 627 designs for jewellery. French, mid-19th century.